Sarah Gitto earned her bachelor’s degree from UCF’s Department of Health Professions in health sciences – pre-clinical in 2011, and her master’s and doctoral degrees from UCF’s College of Medicine. 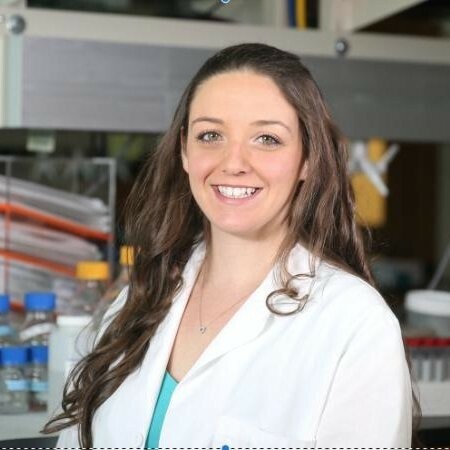 Sarah is a post-doctoral fellow at the University of Pennsylvania where she is currently researching therapies to combat ovarian cancer and melanoma. A three-time alumna of the university, she has garnered numerous awards, including the most prestigious honor given to a student, the Order of Pegasus, in 2016. Her research has already been published in four journals. In addition to her work, she has served as a mentor for biomedical sciences students and has volunteered more than 1,100 hours of service to a camp for chronically ill children and a clinic for underserved populations.